Katie Anthony | The Phoenix Some members of the Edgewater Historical Society are frustrated with Loyola's plans to build a new dorm, a project which would replace two existing buildings. 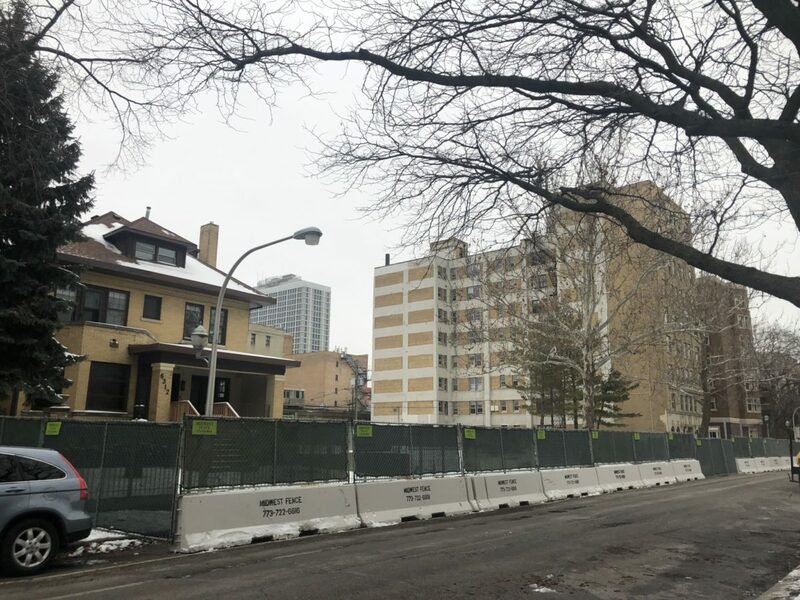 Loyola hopes to address the university’s limited student housing through a new residence hall on Winthrop Avenue, but members of the Edgewater Historical Society have rallied against it as the construction would mean the demolition of two older buildings. In September, Loyola’s Board of Trustees voted unanimously to approve the $47 million residence hall. Named St. Joseph’s Hall, the building is set to provide more than 400 beds to mostly sophomore Loyola students. This school year, nearly 250 upperclassmen Loyola students who applied for on-campus housing were deferred — leaving them to look for off-campus housing, The Phoenix reported. The university plans to demolish Loyola’s Alumni Hall (6312 N. Winthrop Ave.) and a Loyola-owned apartment building at 6332 N. Winthrop Ave. to make room for the St. Joseph’s Hall. The historical society said the plans were environmentally wasteful and the demolition of the apartment building concerned families residing in the “affordable” structure in newsletters passed around the Edgewater community. Loyola disagreed and said it plans on making the process environmentally friendly. Kathy Gemperle, vice president of the Edgewater Historical Society, said members of the organization tried to organize a meeting with Loyola President Jo Ann Rooney about their stance on the demolitions, but never got a reply. 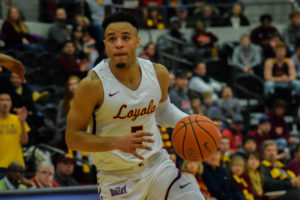 “We encouraged Loyola to meet with us and tell us what the plans were so we could weigh in on what were good ideas, what would support the community, but they apparently don’t want to meet with us at all,” Gemperle said. However, university communications said university officials did meet with the society about the project several times in July. It’s unclear if Rooney was involved in the meetings as of the time of publication. Jean SmilingCoyote, a resident of nearby West Ridge, has attended meetings and events held by the Edgewater Historical Society. She said she believes the demolitions are unnecessary. 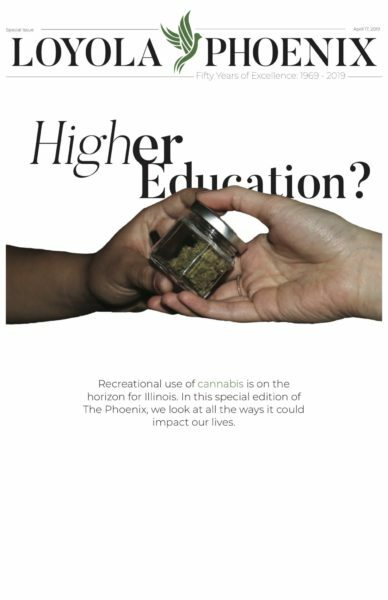 The university said in a statement to The Phoenix it would be taking precautions to make construction safe and environmentally friendly. Maggie Jones, a first-year studying political science and sociology, said the concerns surrounding the demolition of the buildings was first brought to her attention by her co-worker. Jones said she decided to help the Historical Society with its cause by encouraging other students to sign a petition against the demolition of the two buildings. As of publication, the online petition had nearly 500 signatures. Danielle Valero, a sophomore studying nursing, said she believes because of Loyola’s two-year housing requirement the school should build St. Joseph’s. “It’s sad that they are taking down the buildings, but I think it’s necessary to accommodate for the growing student population,” Valero said. Loyola welcomed its largest first-year class ever for the 2018-19 academic year.